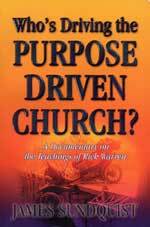 Title: The Greatest Single Instance of Church Apostasy of All Time!? Subtitle: The Episcopalian Church committed two of the largest Apostasies imaginable during their annual national conference. When the Apostle Paul said that Antichrist could not arise unless and until the prophesied great Apostasy had occurred (2 Thess 2:3), what he was really saying was that Church leaders committing the Apostasy were literally opening the door to the appearance of Antichrist. Biblical Definition of Apostasy: The predicted great falling away of those who have professed to be Christians -- Denying key Christian doctrines. 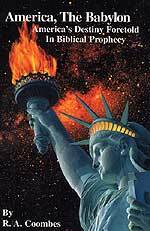 The Apostle Paul issued a strong warning to all Christian leaders who will be leading their flocks during the End of the Age, that period of time after Israel returns to her land. Since Israel was re-born as a nation in May, 1948, we know that the world is currently passing through the End of the Age right now. And, right on schedule, certain churches are pronouncing the most incredible Apostasies imaginable! What this Scripture literally means is Antichrist cannot appear until and unless the Christian Church leaders of that day open the door through which he will come striding! How are they going to open this door which will allow Antichrist to appear on the world scene? 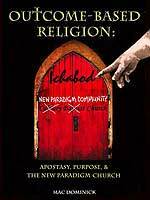 When End of the Age church leaders lead their churches away from the key doctrines of the Bible, they are committing the grievous sin of Apostasy, and are opening the door for Antichrist. Cutting Edge has led the way during the past several years in warning people of the various ways in which this Great Apostasy is now underway, and has, in fact, become exceedingly wide and deep. 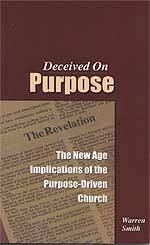 The most important effort in this warning was Mac Dominick's book, "Outcome Based Religion", pictured to the right, which thoroughly exposes Rick Warren's Purpose Driven Church. Please note this book is also available in DVD and VHS. We have also posted numerous news articles in our Daily News Updates Section over the past several years, telling the sorry story of the various ways in which various churches around the world have systematically been abandoning key Christian doctrines. Clearly, the door formerly forbidding Antichrist from arising is continually swinging open wider and wider. However, the current annual conference of the Episcopalian Church -- the 75th General Convention -- meeting in Columbus, Ohio, during the past week, took action which may well represent the single greatest instance of Apostasy since the Apostle Paul penned these famous words. Please carefully read and weep. "COLUMBUS, OHIO (6/20/06)-The House of Deputies of the 75th General Convention of the Episcopal Church today overwhelmingly refused to even consider a resolution that affirmed Jesus Christ as the 'only name by which any person may be saved'." You cannot get any clearer statement from Jesus Himself that He is the only Way to the Father, Whose throne is in Heaven! Why, this Episcopalian statement calls Jesus a bold-faced liar! The early Church Apostles reiterated this cardinal statement of the Christian Faith. The New Testament makes it quite clear that men may be saved only through the blood sacrifice of Jesus Christ! No other founder of any other religion on earth can save a person from sin. Therefore, when the Episcopalian Church affirms that people can be saved by means and/or names other than Jesus Christ, they have shut the door to their followers ever being saved. Do you remember Jesus' condemnation of the Jewish leaders of His day, because they had shut the door to eternal salvation for their followers? Jesus likens their action to "taking away the key to knowledge". Jesus is saying here that the Jewish leaders who were deliberately withholding key spiritual information from their people which would save them for eternity were, themselves, lost for eternity; however, their poor adherents were going to go to Hell too. What a double tragedy! Yet, Episcopalian leaders who are engineering this most unbelievable repudiation of key Biblical doctrine are going down this very same road! Now, let us return to this particular repudiation of Jesus, for there is nearly as much shock in the explanations as to why delegates rejected this Biblical doctrine as you experienced in the first sentence, above. Can you believe this nonsense? This "graduate of Yale Divinity School and Canon Theologian for the Diocese of North Carolina" actually said that the Biblical doctrine that Jesus is the only way to Heaven was the doctrine responsible for the death of the 6 million Jews whom Hitler slaughtered in the Holocaust! What nonsense! Hitler attempted to destroy all Jews in Europe because he was a Satanist -- a member of that Brotherhood of Death Society called The Thule Society (NEWS1314), a most powerful Black Magick secret society. Indeed, no one can really understand World War II and the events of that momentous period, unless they understand the Satanism which propelled Adolf Hitler! We have stated time and time again the truth that Hitler's Thule Society is identical to the Bush's Skull & Bones, since both are Brotherhood of Death Societies. Now you know why Skull & Bones adept, President Bush, could have ordered the invasions of Afghanistan and Iraq on a lie and authorized the extensive use of Depleted Uranium weapons, which have already infected 857 million people in the Middle East -- all of whom will die within the next 15-20 years. Hitler even planned his invasion of Europe according to a fold-out map in the back of an old Black Magick book he had purchased shortly after getting out of the German Army following the end of World War I. Since Poland contained Europe's largest concentration of Jews, Hitler invaded that country first. Hitler's hatred of the Jews was so demonic one can only realize it came from the Pit of Hell. Listen as German Professor Karl Haushofer explains the hatred of the Jews which Hitler practiced. "They merely imitate men but do not belong to the same species ... The Jews are as far removed from us as animals are from human ..."
Therefore, a statement like this one from this Episcopalian professor is absurd, revealing his total ignorance of the true situation. However, I must say that, unless someone understands the true Satanic nature of Adolf Hitler, that person is likely to never understand the depths to which Satanism played a huge part in the beginning, the middle, and the end of World War II -- and of the Holocaust which Satanism spawned. Nevertheless, too many undiscerning, uninformed Episcopalians will take this professor's explanation as truth and will believe that a belief that Jesus Christ is the only way to Heaven contributed mightily to the execution of over 6 million Jews. Now, let us examine the actual doctrinal statement which 70% of the Episcopalian Bishops rejected. You will discover this statement to be Fundamentally correct. "Drafted by the Rev. Guido Verbeck, rector of St. Paul's Episcopal Church in the Diocese of Western Louisiana, Resolution D058 declared the Episcopal Church's belief in an 'unchanging commitment to Jesus Christ as the Son of God, the only name by which any person may be saved', and it acknowledged evangelism as 'the solemn responsibility placed upon us to share Christ with all persons when we hear His words, 'I am the Way, the Truth, and the Life. No-one comes to the Father except through me' (John 14:6)." When the Episcopalian delegates overwhelmingly defeat such a Biblically-sound doctrinal statement, they labeled themselves and their now worthless denomination as worthy of condemnation, for now their adherents will no longer hear the truth of the Gospel so they might be eternally saved. These Bishops have hidden the spiritual "keys", just like the Pharisees of Jesus' day; they will not go into eternal life, and neither will their followers. We urge you to finish reading this news article in Virtue Online, for it details that the Apostasy of the Episcopalian Church began a very long time ago. This rejection of the Lordship of Jesus Christ is merely the latest in a long line of doctrinal rejections. Can you hear the door swinging open through which Antichrist will stride? Now that you know the seriousness of the rejection of Biblical doctrine, let us examine another Episcopalian conference abomination. "COLUMBUS, Ohio (AP) - In the final hours of a national church meeting, the top Episcopal leader is trying to preserve world Anglican unity after Episcopal delegates rejected an Anglican demand that they stop electing openly gay bishops for now." Now, let me get this straight. The Liberal Anglican Church demanded that the Episcopalian Church stop their practice of electing openly gay bishops -- and the Episcopalians refused! There are few issues that get God more angry than homosexuality. It is a genuine abomination for a church calling itself "Christian" to elect gay bishops, put them in church pulpits, and then refuse the Anglican demand that they stop this most un-Biblical practice! Given the thorough manner in which homosexuality dominated the societies called "Sodom and Gomorrah", you have to realize that the churches of these two cities supported gay and lesbian rights and undoubtedly had gay pastors in the pulpit! America is truly becoming just like Sodom and Gomorrah. But, why should we be too surprised, for isn't that what Jesus foretold as a sign of the End of the Age? Please allow Scripture to finish this most unbelievable article. The Apostle Peter, writing under the influence of the Holy Spirit, accurately described the actions of these Episcopalian delegates and their certain destruction. This Scripture even provides the accurate label for these modern Episcopalian Bishops -- "false prophets, teachers"
"BUT ALSO in those days there arose false prophets among the people, just as there will be false teachers among yourselves, who will subtly and stealthily introduce heretical doctrines (destructive heresies), even denying and disowning the Master Who bought them, bringing upon themselves swift destruction. And many will follow their immoral ways and lascivious doings; because of them the true Way will be maligned and defamed. God's judgments are already in the works against these false spiritual leaders of the modern Episcopalian Church. These poor men need our fervent prayers, lest they doom their soul and the souls of their adherents. The global stakes are high, indeed. But, the final analysis is clear: the denial of these two key doctrines prove that the foretold Apostasy of the Church at the End of the Age is both wide and deep enough for Antichrist to appear. I can see that old forbidding door which has prevented Antichrist from arising for only 2,000 years swinging open wider and wider. It is only a matter of God's timing now that the door will be opened sufficiently wide so that Antichrist can march through.